Your Voice Over Demo. $1250. Voiceover artists in need of demo production will find that our unique attention to detail in both training and direction an asset in bringing you to your most natural and expressive self. We provide one CD master, up to 2 minutes long; 8 to 10 individual pieces with music and final mix, ranging from approximately 7 to 18 seconds each. Many places will only ask for a 60 second demo, but we do two minutes so you will have enough different pieces to market to various companies’. This also gives you a variety of ways to represent yourself depending on who you are marketing yourself to. 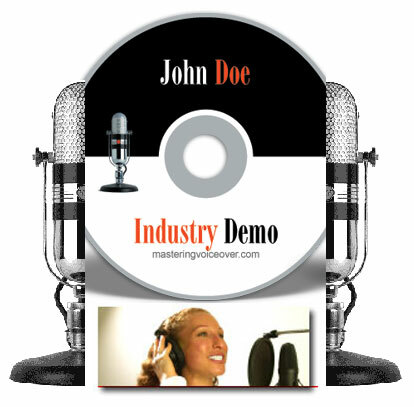 When you are speaking with a potential client you will simply ask them, “would you like a one minute or two minute demo?” We provide you with both versions of your demo as well as a CD and MP3 version. Voice over demos have to have all the natural variation found in your "day Voice" without going outside the compass or the range of your voice or your personality. Sometimes people think they just have to get their demo in a hurry and then go out there and get those jobs. However, your reading ability on the jobs must match how good you sound on your demo. This means that you have to have excellent reading and cold reading skills. So when you are ready, we will help you take the time you need to create the best YOU and we’ll make sure you have the reading skills necessary to sound as good on the job as you do on your demo. Please Email to schedule. We off a full range of HD Video & Audio production services. From concept to completion, we will desing and deliver your video projects on time and on budget at competitive prices. Unlike brochures, DVDs deliver Sight, Sound and Emotion that will turn your potential customers into clients. Call us today to find out how we can produce a broadcast quality video that fits your companys budget.